Shannon N. Green is the Senior Director of Programs at the Center for Civilians in Conflict (CIVIC). She brings deep experience in international development, human rights, and violence prevention with 15 years in the US government, academia, and the nonprofit sector. Shannon was previously the Director and Senior Fellow of the Human Rights Initiative at the Center for Strategic and International Studies (CSIS), where her research focused on addressing threats to democratic institutions and norms; enhancing justice and accountability in conflict and post-conflict environments; and improving security forces’ respect for human rights. Prior to joining CSIS, Shannon was the Senior Director for Global Engagement on the National Security Council. In that role, she developed and coordinated policies and initiatives to deepen and broaden US engagement with critical populations overseas, including spearheading the President’s Stand with Civil Society Agenda and young leader initiatives around the world. 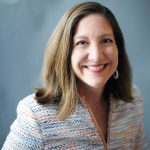 For nearly a decade, Shannon led strategic planning, program design, and policy engagement at the U.S. Agency for International Development (USAID). For much of her tenure at USAID, she worked in the Center of Excellence on Democracy, Human Rights, and Governance, where she developed policies, strategies, and programs to advance political reform and human rights in the Middle East and North Africa. Shannon received her B.A. in political science and history from the University of Georgia and her M.A. in international peace and conflict resolution from American University.